Crain’s recently covered how Rahm Emmanuel’s $588 million property tax hike, which passed the Chicago City Council on October 28, is a double whammy for commercial property owners because it comes at a time when property values are rising and Cook County is re-assessing. The same holds true for Chicago homeowners because of rising home values and all city of Chicago townships are being re-assessed this year. If you live in one of the following Chicago townships listed below, appealing now at the Board of Review may very well reduce your share of the looming property tax increase for you this tax year, and the remainder of the triennial. It’s too late now for homeowners in Rogers Park and Lake View to appeal at the Board of Review but you can still appeal at the Cook County Assessor’s Office during the first half of next year – this will help reduce the second installment of your property taxes next tax year. 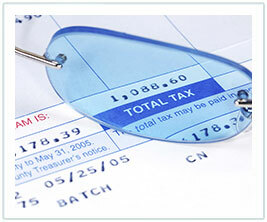 Remember: property taxes are not a fixed, unchangeable cost. Sitting on the sidelines during the property tax appeal season in a potential double whammy year could lead to substantially increased costs, and much higher than your neighbors who successfully appeal them.